Gorgeous delicate images of children with soft lighting - their gaze turned away from the camera but still captured with so much expression. I would love to know how the images were post-processed. The link above does not do justice to the actual stamps which are more matt and muted. Stichting Kinderpostzegels Nederland (Kinderpostzegels) is a children’s charity with the slogan: 'for children, by children'. 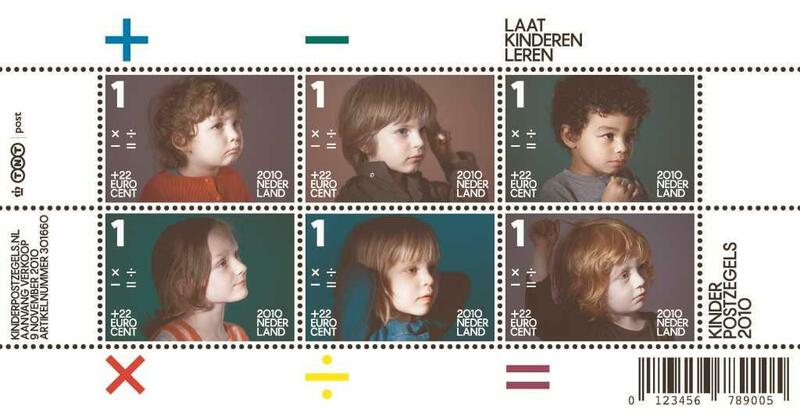 The annual Children’s Welfare Stamps Campaign is a striking example of this, forming the organisation’s showpiece. In this campaign, children help other children. Kinderpostzegels uses the proceeds to support projects focusing primarily on children. I am not very enamoured with the rest of their work to be honest - too empty and creepy, too clinical. And the ones of the kids laying in the grass - surely these could have horrible connotations? Maybe there is a Dutch cultural thing that I am missing here. Interesting how I could dislike pretty much everything on their website and yet find the images on these stamps so arresting and appealing. Heh! I don't really like the stamps, but I like the other stuff they do.